Colombia, Venezuela get opportunity to overcome oil addiction. You’ll believe what happens next. Venezuela and Colombia, where I’ve been hanging out for the last couple weeks, are terminal oil junkies. Both countries have built economies so oil dependent that with the current low price of crude, people are freaking out. Of course crisis=opportunity and all that, so what better way to stimulate the local economy and set the countries up for the next cycle than invest in renewable energy? Good time to build some wind farms and microhydro projects, you might think. Good time to lay some solar panels onto reservoirs, you might think. Well, that’s not what’s happening. In Venezuela, the government is bragging that it’s reactivating mature oil wells. And as the government faces the country’s worst financial crisis since at least the 1990s, it continues to give away gasoline to anyone who can take it. Free. Seriously. Younger people with dollar signs in their eyes are now investing their cash into oil, too. 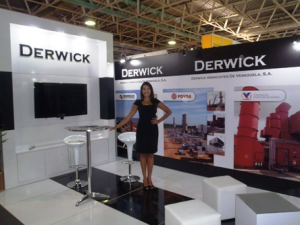 The folks behind Derwick Associates, led by Alejandro Betancourt, have spent about $250 million on shares of Bogota-based oil company Pacific E & P (formerly known as Pacific Rubiales), while their pal Francisco D’Agostino is part of a group that is putting more than $30 million into Harvest Natural Resources, a Texas oil company. Everybody’s betting on oil. The consequences of global sea level rise could be even scarier than the worst-case scenarios predicted by the dominant climate models, which don’t fully account for the fast breakup of ice sheets and glaciers, NASA scientists said today (Aug. 26) at a press briefing. What’s more, sea level rise is already occurring. The open question, NASA scientists say, is just how quickly the seas will rise in the future. So you have these two tropical, coastal countries, facing the loss of their coral reefs and atolls, not to mention their glaciers and the unique alpine moors called páramos. Two countries that depend on a robust, constant hydrologic cycle for their energy supply and their basic survival. And their reaction to a crisis in the oil industry is to keep investing in oil. This entry was posted in Uncategorized and tagged Climate, colombia, oil, venezuela on August 28, 2015 by Steven Bodzin. A good way to monitor Latin American currencies is against the Canadian dollar, rather than the US dollar. The USD, as world reserve currency, is mostly a measure of risk tolerance around the world. People fearing instability (still and despite it all) buy greenbacks. But the CAD, as the currency of a stable, developed, but resource-dependent country, is a nice comparison point for the Latin American currencies, as it cuts out a lot of the USD’s noise. Against the CAD, the Colombian peso long tracked other currencies in the region, particularly the Peruvian nuevo sol and the Chilean peso. This first chart shows currencies against the CAD from 1 Jan 2010 to 1 Oct 2014. The Colombian peso (COP) is the red dotted line, green is Peru, navy blue is the Mexican peso, and fucsia is Chile. Up top, you see the Brazilian real and the Argentine peso doing their wacky and devaluatory deeds in red (solid line) and purple. This time, Argentina is down there with Peru and Chile, actually appreciating against the Canadian dollar. Mexico is drifting weaker, and Colombia is suddenly tracking Brazil in a big, painful devaluation. The are both big oil producers whose state-controlled companies were once stock market darlings. They are both economies that were overhyped circa 2011, and are now probably in an excessive backlash. Here’s the 5-year chart. Colombia has detached from its usual peers and is devaluing mightily. The upshot for me, as a consumer of Colombian Harina P.A.N. precooked corn flour in Canada, is that a kilogram of this white powder has dropped from CAD 4 to CAD 3.3 over the past year. Given what we already saw in 2014, I suspect Colombia will get a competitive advantage in the production of other white powders. Next year’s coca production reports will likely show Colombian output surging. This entry was posted in Uncategorized and tagged argentina, brazil, chile, colombia, currencies, mexico, peru on July 27, 2015 by Steven Bodzin. Post-deal-collapse comment on Pacific Rubiales Energy Corp. Adding (later): At least nobody can accuse him of front-running anything. Practically pegged the bottom there. This entry was posted in Uncategorized and tagged canada, colombia, pacific rubiales, pre.to on July 15, 2015 by Steven Bodzin. Thanks to the indispensable Otto Rock, always with his ear to the ground for community (ahem) issues, I hear about this situation in Puerto Gaitan. Following several days of protest around the Pacific Rubiales offices in Puerto Gaitan, Meta, a group of about 60 indigenous people entered and took over the multinational’s premises. The natives of the community Vencedor-Pirirí arrived with clubs and bows to demand that Pacific fulfill agreements it had with them, including maintenance of the Puerto Gaitan-Rubiales road, schools, and health centers. The situation in the morning became tense over the situation of Pacific employees, so the police intervened. A police officer goes on to explain that some workers were briefly held captive until the police moved in. The host comes back to say that several vehicles have been burned in the protest. In other news, a pal in Bogotá says Pacific has already taken its name down from its headquarters building, and I heard third-hand that signs in the oilfields are being replaced with signs that don’t have Pacific’s name. If anyone could get me a photo of either of those, I’d be quite grateful. I’d be happy to post it here with or without attribution, your choice. This entry was posted in Uncategorized and tagged Alfa, colombia, community, pacific rubiales, pre.to on July 3, 2015 by Steven Bodzin. And here, yours at no extra charge, is the superseding indictment. This entry was posted in Uncategorized and tagged colombia, crime, ec, fcpa, usa on June 15, 2015 by Steven Bodzin. Yesterday was a good day for the guys in charge of Derwick Associates. This entry was posted in Uncategorized and tagged colombia, courts, derwick associates, pacific rubiales, pre.to, usa, venezuela on May 1, 2015 by Steven Bodzin. A few interesting Pacific Rubiales items recently, picked up by the always attentive Otto at IKN. Go over there, he’s better at this blogging stuff than I am. For what it’s worth I watched the video he linked there, and I thought it desperately needed an edit. And I hate, hate hate documentaries with looming drama music. But if for nothing else, it’s worth watching the video to see the spectacular video of the Colombian llanos that are being exploited for both petroleum and palm oil these days. Good to know what kind of paradise you’re wrecking every time you fire up the old V-8. This entry was posted in Uncategorized and tagged canada, colombia, energy, oil, pacific rubiales, pre.to on March 16, 2015 by Steven Bodzin.